I have just returned from India, which has left me bursting with new ideas and inspiration as always. I have so much to share, but for now let me start with one of my favourite places, this innovation hub. 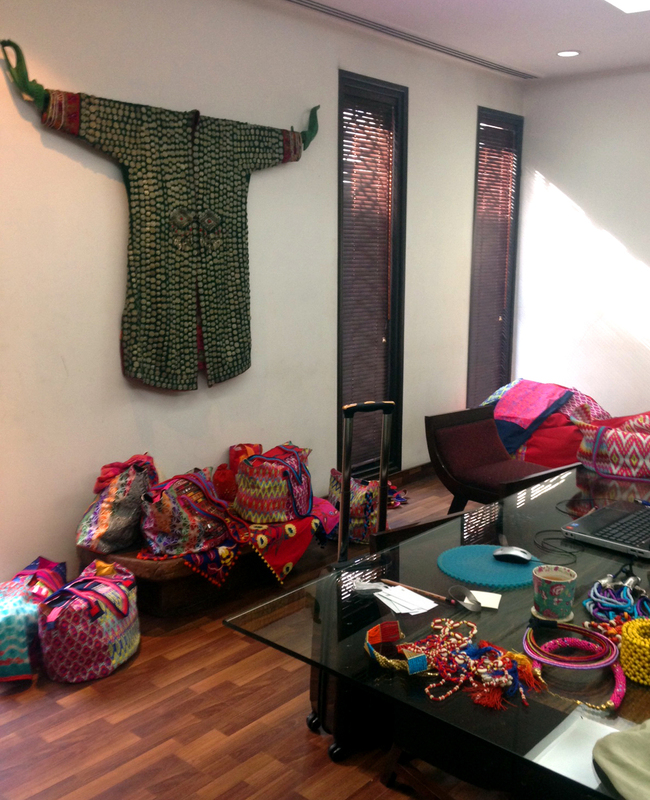 This creative space in India is where I work on all the new creations for the Naudic range. I usually spend four days, three times a year locked away in here. It has a perfect ambience to stimulate creativity. One of my favourite pieces in the workshop is the wooden frame on the wall with its arms outstretched. I love its hands. They are soft, gentle but still pushing ahead with open arms for great ideas to come my way! I can’t wait to share the fruits of my time spent here with you in the coming months. Summer 2014-15 in particular is going to be fabulous.